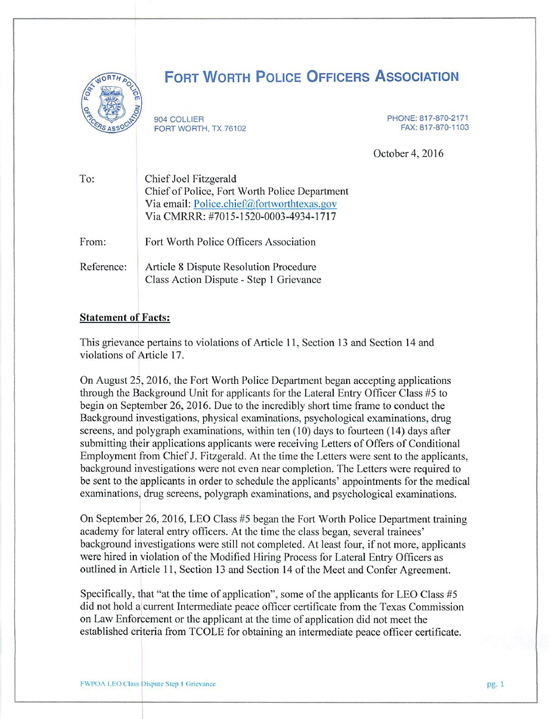 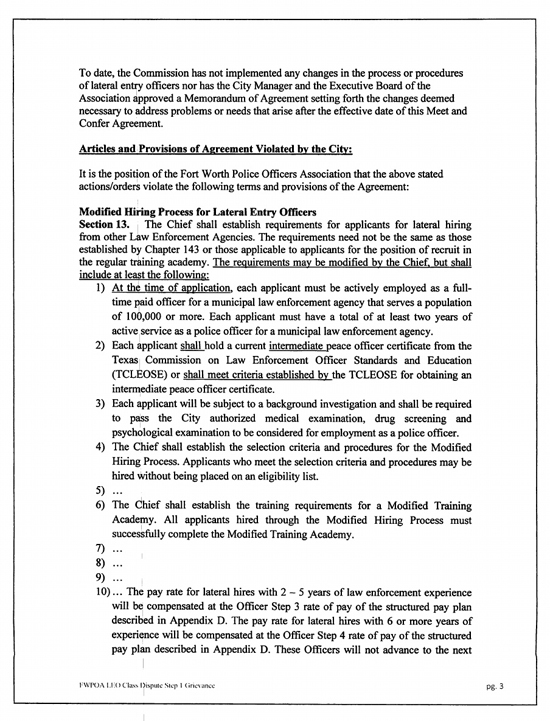 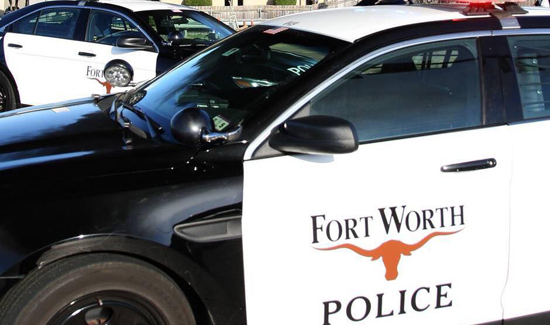 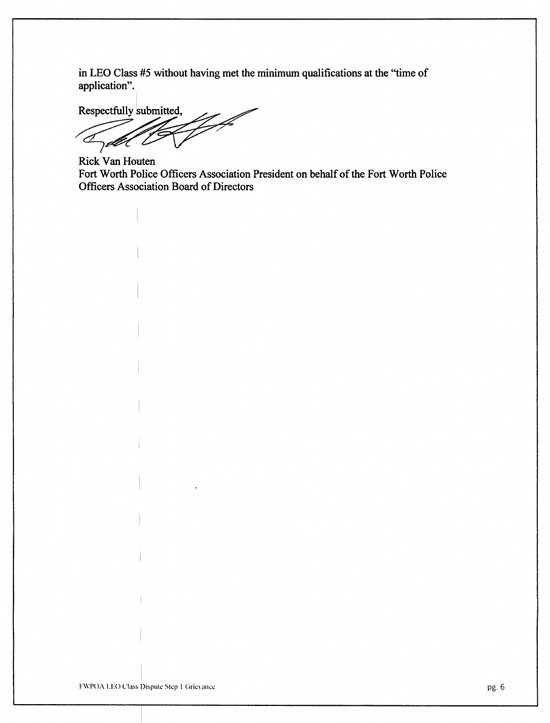 The Fort Worth Police Officer’s Association has filed a significant grievance with the police department over concerns about the its Lateral Entry Officer program. 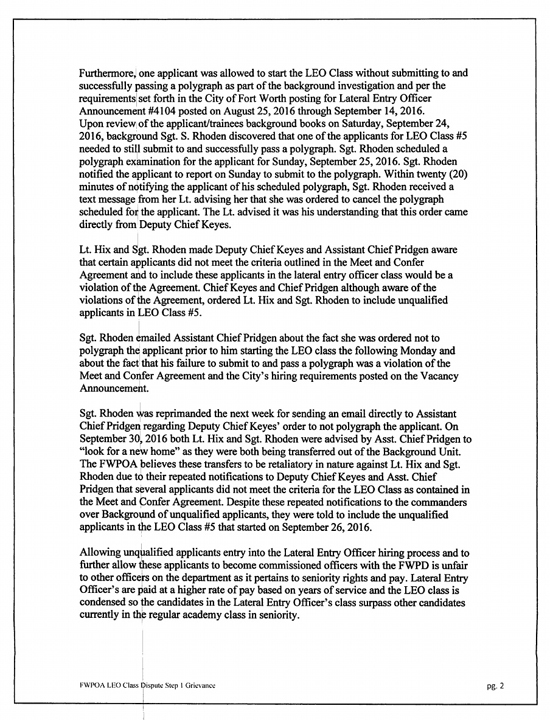 Among the issues mentioned in the grievance are instances of applicants not having proper intermediate peace officer certificates, and at least one occasion where an applicant didn’t have to undergo a customary polygraph test as part of a background investigation. 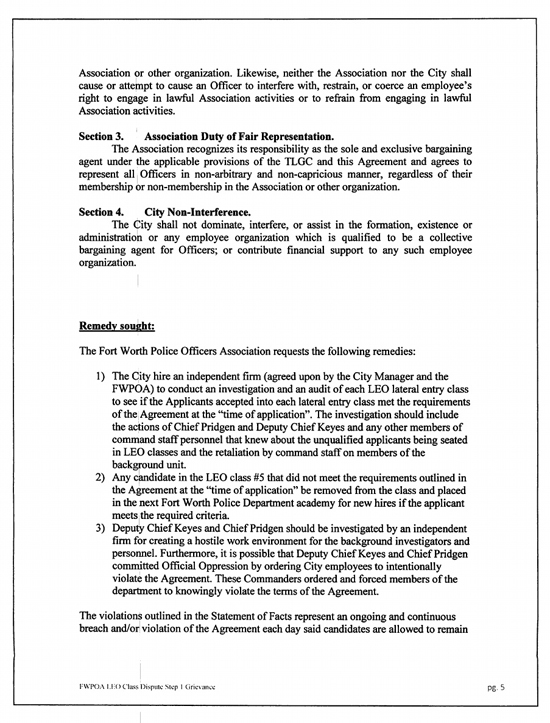 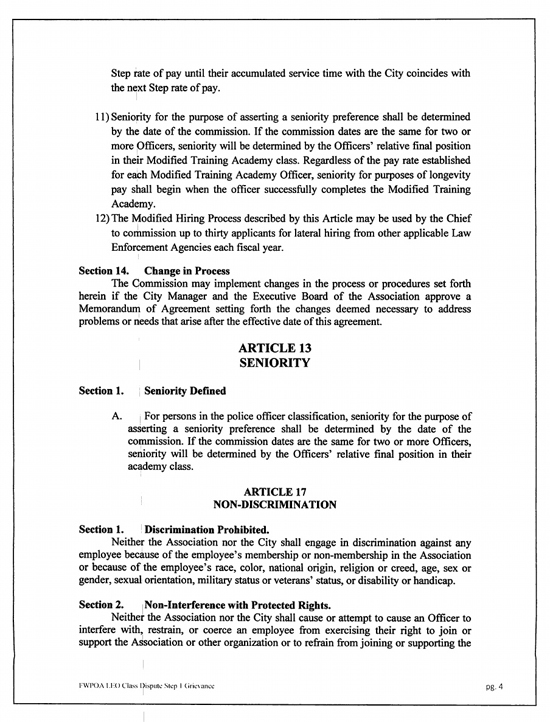 The grievance also states that when concerns were raised by two existing officers in charge of clearing the new applicants, they were subsequently told to “look for a new home” as they would be transferred out of the Background Unit.